Bead, bamboo coral (dyed), pink, 10x6mm hand-carved end-drilled flower with 0.7mm hole, B grade, Mohs hardness 3-1/2 to 4. Sold per pkg of 8. Item Number: H20-4837NB Have a question about this item? 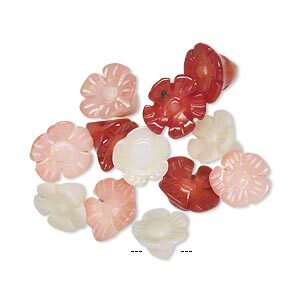 Flowers are end-drilled to use as beads, buttons or clasp endings. 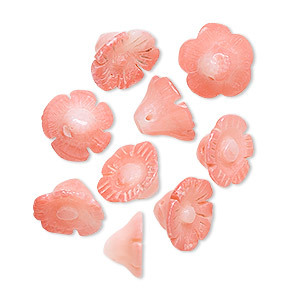 They are specially dyed so the center of each flower is lighter in color for the appearance of realistic depth. Sizes, shapes and colors may vary with handcrafted items. 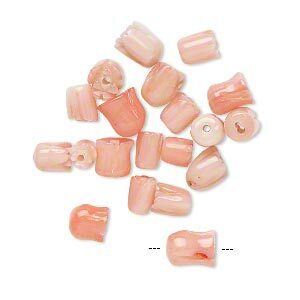 Bead mix, bamboo coral (dyed / bleached), pink / red / white, 7x4mm-10x6mm flower, B grade, Mohs hardness 3-1/2 to 4. Sold per pkg of 12. 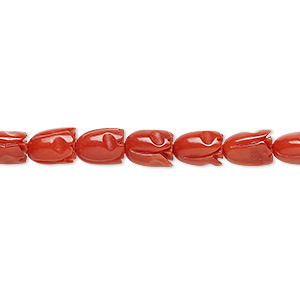 Bead mix, bamboo coral (dyed), salmon, 8x6mm-14x6mm half-drilled carved flower, B grade, Mohs hardness 3-1/2 to 4. Sold per pkg of 10. 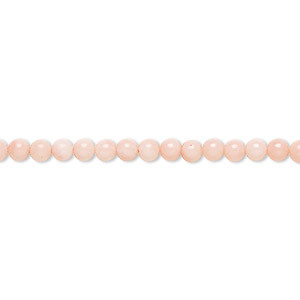 Bead, bamboo coral (dyed), pink, 2.5-3mm hand-cut round with 0.3-0.6mm hole, B- grade, Mohs hardness 3-1/2 to 4. Sold per 15-1/2" to 16" strand. 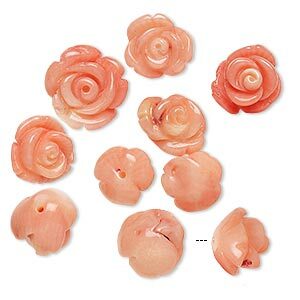 Bead mix, bamboo coral (dyed), pink, 4x4mm-7x6mm carved tulip, B- grade, Mohs hardness 3-1/2 to 4. Sold per pkg of 20. 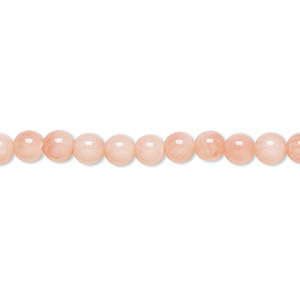 Bead, bamboo coral (dyed), pink, 5.5-6mm hand-cut round with 0.7-0.8mm hole, B- grade, Mohs hardness 3-1/2 to 4. Sold per 15-1/2" to 16" strand. 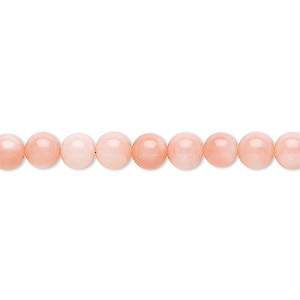 Bead, bamboo coral (dyed), pink, 7-8mm hand-cut round with 0.5-0.9mm hole, B- grade, Mohs hardness 3-1/2 to 4. Sold per 15-inch strand. 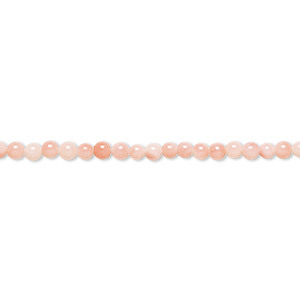 Bead, bamboo coral (dyed), pink, 4.5-5mm hand-cut round with 0.6-0.8mm hole, B- grade, Mohs hardness 3-1/2 to 4. Sold per 15-1/2" to 16" strand. 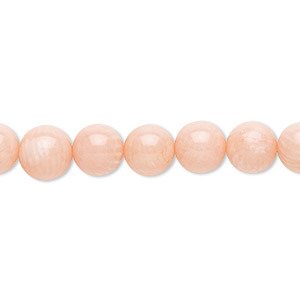 Bead, bamboo coral (dyed), pink, 3.5-4mm hand-cut round with 0.5-0.7mm hole, B- grade, Mohs hardness 3-1/2 to 4. Sold per 15-1/2" to 16" strand. 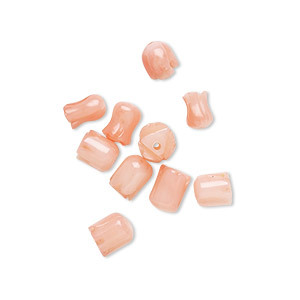 Bead mix, bamboo coral (dyed), pink, 4mm-7x6mm carved tulip, B- grade, Mohs hardness 3-1/2 to 4. Sold per pkg of 10.